Implementing Chapter 4 of Water for Victoria; progress to September 2018. 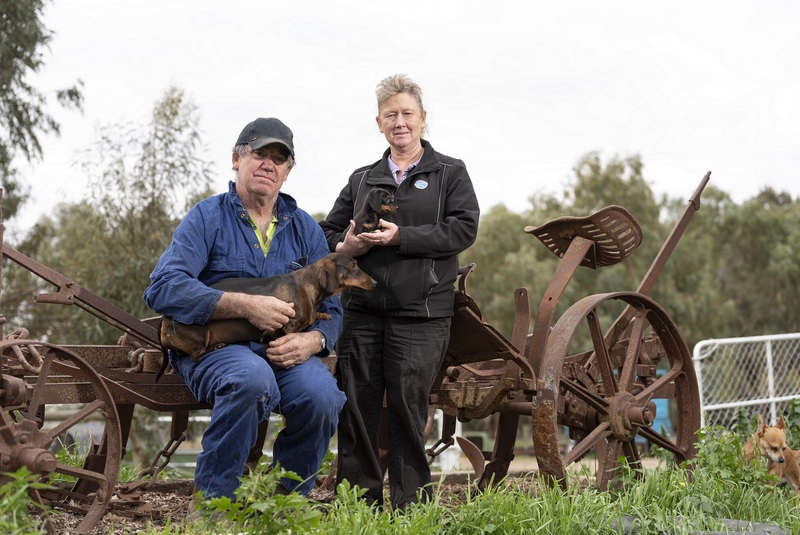 The Victorian Government is supporting farming communities to make informed changes, stay resilient and thrive as they shift to a future with less water. We are investing in infrastructure projects across Victoria — in areas such as Gippsland, Werribee and South West Loddon — to secure a sustainable and productive water future for our farmers. The successful reset of the $2 billion Connections Project has ensured that the future prosperity of Victoria’s northern food bowl is supported by a modern delivery system, providing economic stimulus for irrigated farming and industries in the Goulburn-Murray Irrigation District. We are working to achieve balanced outcomes from implementing the MurrayDarling Basin Plan. As farmers across Victoria deal with the effects of climate change, reduced inflows and less available water, our approach has been to put communities at the centre of issues to discuss and identify actions and agree on priorities. For example, we have developed the popular Plan2Farm — a tool to work with farmers for long-term business decisions to support their decision making. Contemporary Rural Drainage Strategy to be finalised in late 2018. Victoria continues to achieve 100 per cent compliance for salinity under various MurrayDarling Basin agreements. 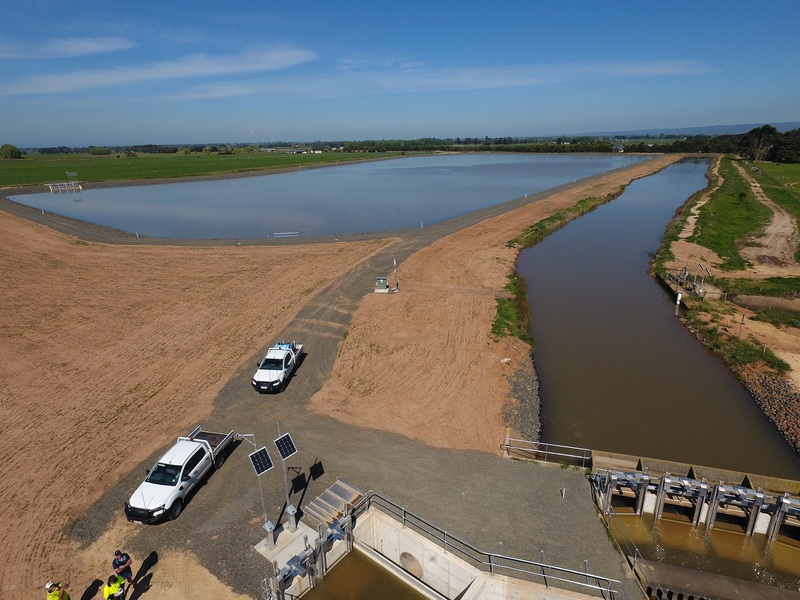 Construction is underway on projects that will ensure the Macalister, Werribee and Bacchus Marsh irrigation districts operate more efficiently and are resilient in a drier climate. These projects are securing the future for Victoria’s high-value agriculture and horticulture, while also protecting the environment. Water savings generated from these projects will support agricultural productivity in the region and enhance environmental outcomes in the Werribee River. Feasibility investigations undertaken by water corporations since 2016 have played an important role in identifying infrastructure needs for our future water security. The 2018-19 Victorian Budget committed $42.2 million towards the construction of the East Grampians Water Supply Project and Mitiamo and District Reticulated Water Supply Project. These projects, alongside the $80 million South West Loddon Rural Water Supply Project already underway, will continue the extension of the water grid and improve water security to rural communities. The government continues to look for opportunities to bridge funding gaps for the Werribee and Bacchus Marsh modernisation projects, as well as the East Grampians and Mitiamo pipeline projects. This will enable the full suite of project benefits to be realised. Photo: Balancing storage (dam) created during the $32M Phase 1A in 2016/17 modernisation works. Named “Willang Yarn” meaning “rain water” by the Gunaikurnai Traditional Owners. Courtesy SRW. Plan2Farm provides personalised and specialised support to farmers in the Goulburn-Murray Irrigation District (GMID) to help them understand their business needs and make decisions that align with their vision for the future. Whole-of-enterprise planning means farmers make better decisions around farm water use, long-term water requirements, business planning, modernisation agreements with the Connections Project, and land use practices. This approach provides environmental, social and economic benefits within GMID irrigation communities, helping irrigators to adapt to rapid change and reduced water availability. The program is coordinated by North Central Catchment Management Authority and delivered in alliance with Goulburn Broken Catchment Management Authority, North East Catchment Management Authority, Agriculture Victoria, GMW Connections, Rural Development Victoria and Murray Dairy. Victoria is on track with its Basin Plan water recovery target, with over 800 gigalitres (GL) of Victoria’s 1,075 GL target recovered or contracted to be recovered. We know that water recovered is already delivering for the environment, with improved vegetation, fish populations, and waterbird breeding (see www.water.vic. gov.au/reportcard for more information). Work to ensure that the Basin Plan delivers balanced outcomes has continued including: * Undertaking socioeconomic analysis to better understand the impacts of water recovery on farming communities. * Progressing projects under the Basin Plan’s 605 GL SDL adjustment mechanism worth an estimated $320 million - without these projects, the future of important environmental sites like Gunbower Forest is uncertain. * Developing infrastructure projects to meet Victoria’s contribution to recover 62 GL by June 2019 to bring the full 605 GL supply adjustment into effect. * Progressing our water resource plans and improving basin wide compliance through a compliance compact. Victoria will continue to focus on achieving environmental outcomes and ensuring any further water recovery does not come at the expense of our communities. 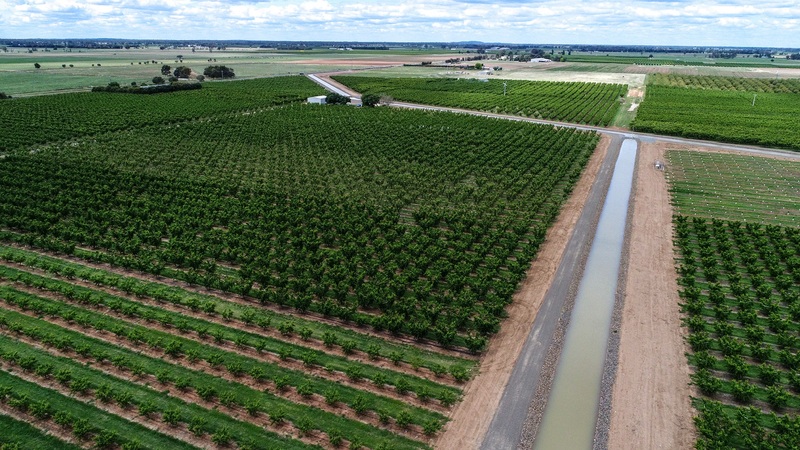 The Connections Project — the largest irrigation modernisation project in Australia — is ensuring the future prosperity of Victoria’s northern food bowl, centred on the Goulburn-Murray Irrigation District (GMID). The $2 billion federal and statefunded project will create a sustainable future for productive agriculture in northern Victoria, and the prosperity of the GMID for future generations. The modernisation of the irrigation infrastructure is benefiting irrigators, local jobs, community and the environment, and will result in long-term water security for the GMID agriculture sector. The project will recover 429 gigalitres of water savings and is a key part of Victoria’s contribution to the Murray Darling Basin Plan. The project’s Reset Delivery Plan is ensuring its success with each consecutive milestone target achieved or exceeded since it was established. As at 30 June 2018, the project had installed almost 7300 outlets, decommissioned more than 1130 kilometres of channels and fully treated assets servicing almost 5800 customers.